I’m been frustrated with so little time to sit and write – and I mean write, not talk-to-text in a moment of anxiety over something in the news cycle, or whatever. So, since time is limited, reblogging something encouraging is a good way to keep things active. Jogging past the site of the Rental Truck Terror Attack on Halloween in Manhattan, I couldn’t help but shed a tear. 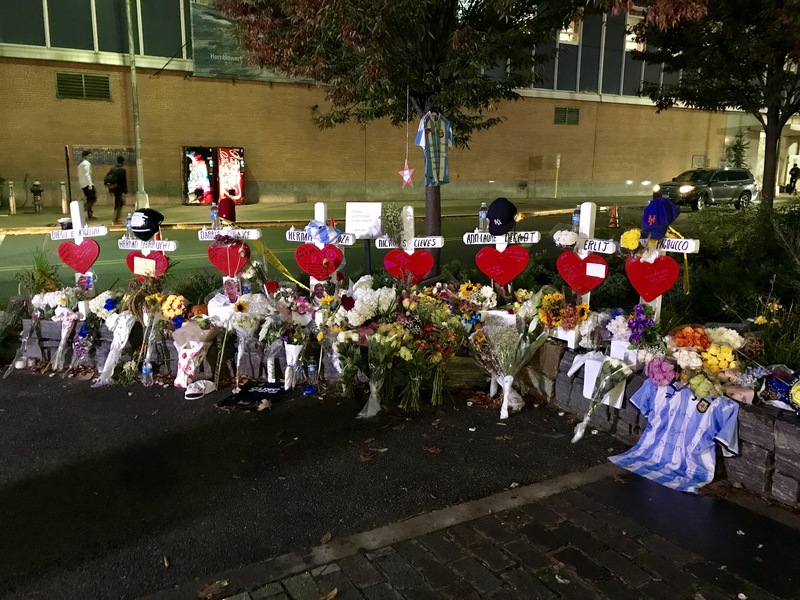 The flowers, piled high in memorial of the lives lost just last week, offered a constant reminder of the horror that befell those innocent lives and their loved ones. Sadly, our country is not shocked by such violence anymore. I mean, not even a full week had gone by before another tragedy rocked our nation, this time, in Texas. This type of narrative happens so often, I sometimes wonder if people have started to become numb to such horrific news. Seeing the mourners pay their respects on the bike path in lower Manhattan, I was struck by how eerily low the number of runners and bikers were. The once bustling foot and bike traffic, now stagnant, with almost a palpable absence.